Okay, so now we are well into July and in our last post, we talked about kitchen sinks. 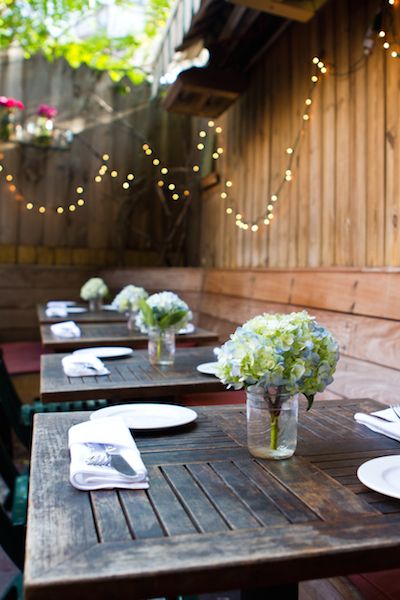 Today we'd like to have blog class outside and by that we mean in an outside, open-air kitchen. True, in New England the seasons are shorter, BUT, if you are lucky enough to be able to create a kitchen-area that is partially covered to protect appliances and guests from the elements, you really can enjoy cooking and eating outdoors for at least three seasons. What will you need? Glad you asked! Obviously, the first thing you'll need is a good grill, no point in dining outside if you have to cook everything inside! 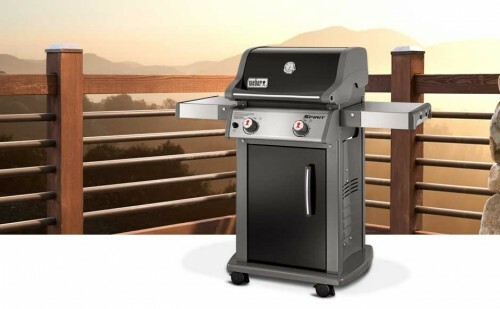 We like this Weber grill 'the Spirit' it's compact but packs a big BTU punch. It doesn't take up a lot of room either, which might be a consideration for those of us with smaller patios. While dining al fresco is still happening (before the weather restricts parts of the country), the next step is to 'decorate' your outdoor space. This is the not-too-expensive portion of today's blog. We don't think anyone needs to spend tons of money on the decorate elements. So here are some fun ideas to enhance your outdoor space. 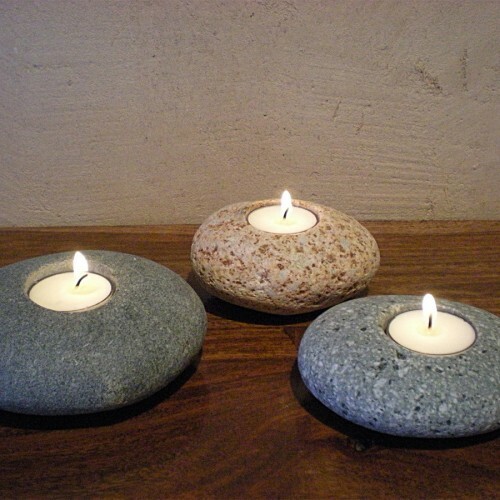 First, we'd like to show off some sweet tea light pebbles. 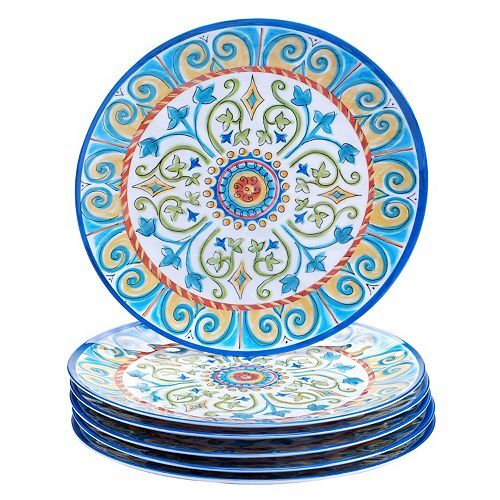 Sturdier than most tea lights, these are crafted from stone, which ensures that they will not blow off the table! Okay, now we're getting somewhere. We've got tea lights and table settings and grills, perhaps the addition of some lanterns or string lights? These low lumen lights add just the right amount of atmosphere to a backyard. 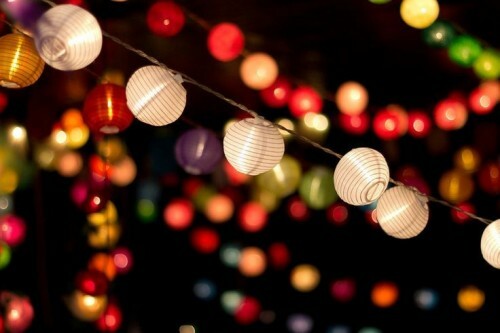 They seem to transport you to another place and time; romantic and festive at the same time.